National uses a different name and logo in Rhode Island, but customers still get the same great service and quality products as parent company National Lumber, the largest independent building materials supplier in New England, with headquarters in Mansfield, MA. Below you will find staff contact information, phone and fax numbers, store hours, and address with map & directions. 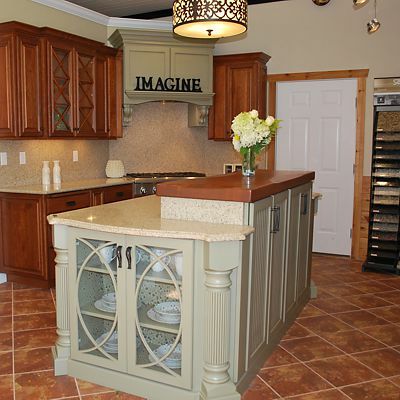 We provide everything in building materials to builders, contractors, and homeowners. Contractors and builders will be pleased with our experienced staff and the wide range of quality products available at our fully stocked lumberyard. 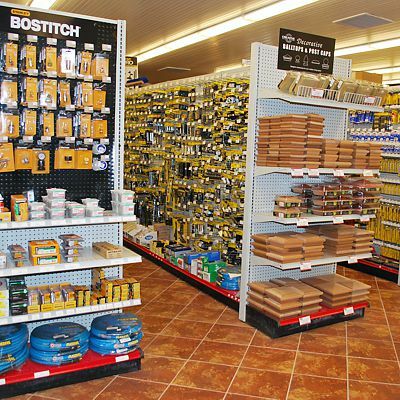 Our classic hardware store has what homeowners need for DIY projects and professional grade tools contractors need to get the job done. National Building Products is a proud member of the Rhode Island Lumber and Building Materials Dealers Association (RILBMDA) and the Rhode Island Builders Association (RIBA). Also at this location, Kitchen Views, our kitchen design showroom with in-house designers, provides inspiration for home improvements. Our showroom will inspire you with amazing cabinetry vignettes showing creative solutions to maximize storage space throughout a home. Please call 401-921-0400 to schedule a design appointment and receive undivided attention.